Photo Gallery Thursday "Screme Gelato"
I have become a big fan of gelato. If you have never tried it, it is becoming easier to locate at your local supermarket. 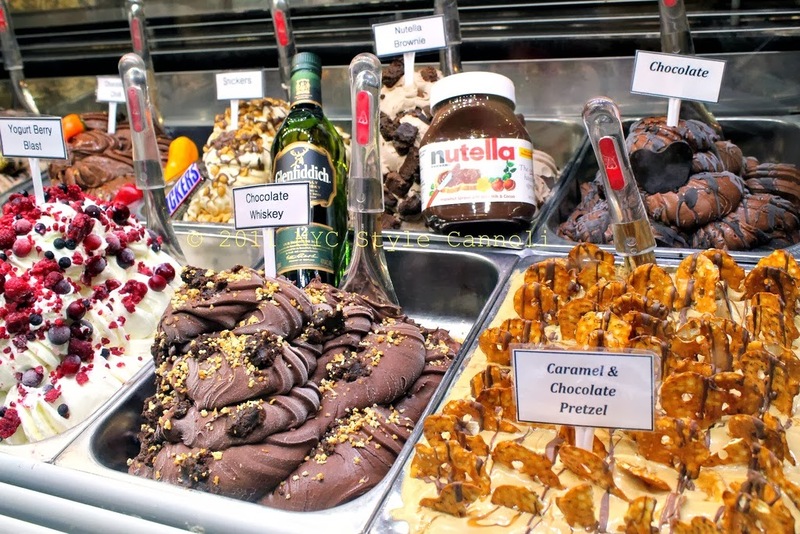 This selection from Screme Gelato Bar is mouth-watering! Their gelato is made with all natural ingredients and is low fat! You can find Screme in the Upper West Side on 94th street and it is worth the trek! Gelato is so creamy, and you really taste the flavors with each bite. Are you a fan of Gelato? I'm not a huge ice cream fan and it has to be quite special for me to enjoy it. However gelato is different and I love the texture. These flavours look amazing! I am beginning to love gelato more than ice cream I just like that it is so soft and creamy and they say healthier too This place is amazing! Yum yum yum! I love gelato, much prefer it to ice cream. These look amazing.